State Sens. 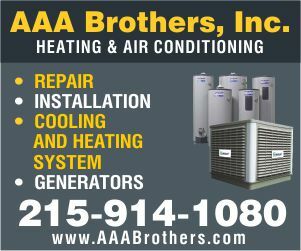 Mike Stack and Robert Tomlinson have secured $3 million in state funding for an expansion project at Aria Health-Torresdale in Northeast Philadelphia. 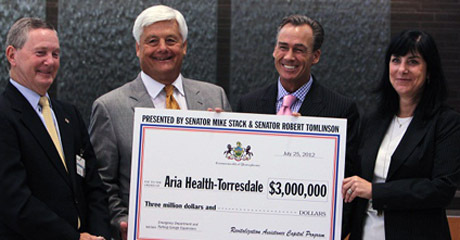 The lawmakers presented the Redevelopment Assistance Capital Program (RACP) funds to the hospital at a news conference. The Emergency Department construction project at Aria’s Torresdale campus will expand current capacity from 30 to 42 beds, while also helping streamline patient evaluation and treatment, meeting both minor and major emergency care needs effectively and efficiently. The $37 million project is expected to be complete by March 2014. RACP funds were also used to construct the new parking garage at the Torresdale campus. This $9 million project, completed last July, increased the total parking capacity by 25 percent by adding nearly 400 spaces. Does Northeast Need The Methadone Clinics?